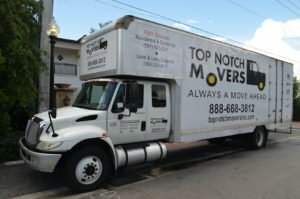 At Top Notch Movers, a premium Delray Beach moving company, we offer an unparalleled commitment to service, have highly skilled and professional movers. We offer solid dedication to reliability, flexibility, and excellence. These have been the hallmark of Delray Beach movers Top Notch Movers Inc. for many years now. 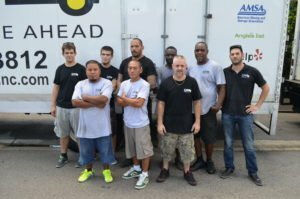 Serving key cities in the South Florida area and also to the other side of the country, our company of movers and relocation services has truly gone a long way since its humble beginnings. Who Are Our Delray Beach Movers? Our Delray Beach moving and relocation company provides the means to move and relocate items, packages, valuables, and other important things that a family or business needs from one place to another. It entails a certain level of knowledge about organization, packing, storage, transport, and skillfully unpacking of these movable belongings. Moving and relocating valuables – be it residential or commercial – entails a deep understanding of the unique characteristics of the transportable items. Big and small, delicate or not, everything needs to be handled in the correct way that it is supposed to be handled. By carefully understanding the unique properties of the items to be moved or relocated, professional moving companies are able to transport anything valuable safe and sound. Large items such as grand pianos, furniture, and office implements are handled with such care that they arrive at their destinations in one piece, guaranteed. Furthermore, very delicate items such as paintings, sculptures, and other objects of invaluable art are handled with an even greater care that these require specialized containers just to transport them over lands. Such is the dedication and commitment of our Delray Beach’s best moving company to be reliable and dependable on their promise of moving everything of value in one piece. We know full well the importance of such items for the lives of their customers. Otherwise, had it not been significant, the client would have done it themselves and never left the professional job to the moving and relocation professionals of our Delray Beach moving company. Top Notch Movers is a professional and experienced moving company, and we have your back. As Delray Beach movers, we love offering our clients exceptional customer service that is unparalleled by other moving companies. Our ultimate goal is customer satisfaction and if you are not satisfied, neither are we. Call us today for a free estimate and quote! Great communication since day one. Everything went according to plan. No last minute surprises. Moved a friend from a 3-bed house to a 2-bed apartment in a total of 5 hours with a crew of 3. All very professional.